We’d love your help. 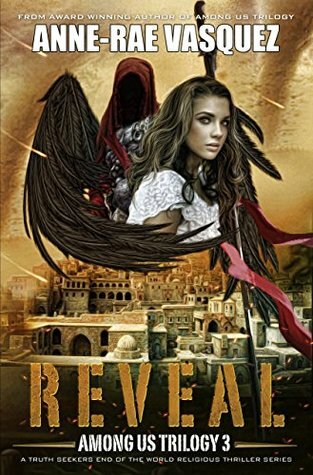 Let us know what’s wrong with this preview of Reveal by Anne-Rae Vasquez. To ask other readers questions about Reveal, please sign up. Reveal by Anne-Rae Vasquez is the final installment of the Among Us Trilogy. I've absolutely loved this series since I first found book one, Doubt. As it turns out for book two, Resist, and this finale, I acted as a beta reader for the author. It was an awesome experience to have the opportunity to go through these two final novels line by line and chapter by chapter with the author. Plus, I have to admit that it was just plain cool to see my name in the acknowledgments. Anyway, Reveal is a fan Reveal by Anne-Rae Vasquez is the final installment of the Among Us Trilogy. I've absolutely loved this series since I first found book one, Doubt. As it turns out for book two, Resist, and this finale, I acted as a beta reader for the author. It was an awesome experience to have the opportunity to go through these two final novels line by line and chapter by chapter with the author. Plus, I have to admit that it was just plain cool to see my name in the acknowledgments. What if the events foretold in the book of Revelations in the Bible happened? The team of Cristal and Harry are confronted with this startling fact and race to save humanity before the end of time. A compelling read, this book was given to me through the Goodreads Giveaway program. Cristal had been given orders, relayed from the Almighty himself via Rafael. Her mission, to infiltrate Global Nation and send Bezel back to hell. She had all but given up hope, of either achieving her quest, or being rescued by the Truth Seekers. For twelve months she was a captive, but the time has come for action, and help appears to come from an unlikely source. Demons themselves seem willing to offer aid to return the devil to hell. The end is here, purgatory is closed, and now all out war Cristal had been given orders, relayed from the Almighty himself via Rafael. Her mission, to infiltrate Global Nation and send Bezel back to hell. 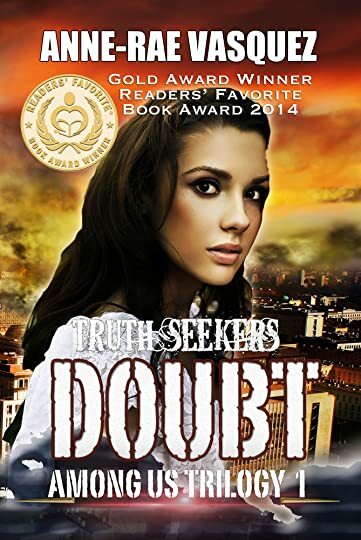 She had all but given up hope, of either achieving her quest, or being rescued by the Truth Seekers. For twelve months she was a captive, but the time has come for action, and help appears to come from an unlikely source. Demons themselves seem willing to offer aid to return the devil to hell. The end is here, purgatory is closed, and now all out war both mortal and supernatural is upon them. Who will be victorious, and what will the new world look like now the prophecy has been set in motion? It seems like the author developed as she wrote the series. The characters were well-developed, the story fast paced and involving and the writing (after a li The genre of this book is a little hard to categorize: a little religious, a little paranormal, some superhero aspects, gamers.....who knows? Great ending to this series about Armageddon. It is realistic. The world building and character development were really well done. Recommend this series. Received a copy from Hidden Gems and this is my voluntary and honest review.